John joined Watsi on April 8th, 2016. Three years ago, John became the 1886th member to automatically support a new Watsi patient every month. Since then, 3,220 more people have become monthly donors! John's most recent donation traveled 8,300 miles to support Win, a woman from Burma, to fund gynecological surgery. John has funded healthcare for 44 patients in 12 countries. Simon is a man from Kenya. He is a father of two children. He operates a small business. In September 2018, Simon was in a road accident. Since then, he has undergone four surgeries to treat injuries to his tibia bone. Now, he needs to undergo a bone transport to treat a bone infection. If not treated, Simon will be at risk of further complications, including a total bone infection that might result into amputation. Fortunately, his surgery is scheduled for March 6. Now, he needs help raising $1,500 to fund this procedure. Simon says, “I hope that soon I will continue providing for my family." Son is a farmer from Cambodia. He has two sons, three daughters, and six grandchildren. He likes listen to monks pray on the radio and watch Chinese films. Two years ago, Son developed a cataract in each eye, causing him blurred vision, itchiness, irritation, photophobia, and tearing. He has difficulty seeing things clearly, recognizing faces, and going anywhere outside. When Son learned about our medical partner, Children's Surgical Centre, he traveled for four hours seeking treatment. On October 16, doctors will perform a phacoemulsification surgery and an intraocular lens implant in each eye. After recovery, he will be able to see clearly. Now, he needs help to fund this $398 procedure. 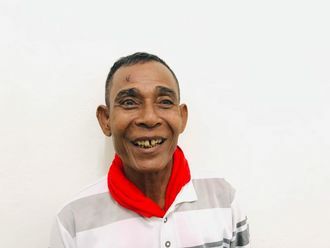 He says, "I hope I can see clearly after the operation and go to the pagoda on my own." Sorn is a grandfather of fifteen from Cambodia. He has three daughters, four sons, and fifteen grandchildren. He likes to watch boxing and soccer matches on TV. A year ago, Sorn developed a cataract in each eye, causing him blurry vision and clouded lenses. He has difficulty seeing things clearly, recognizing faces, and going anywhere outside. When Sorn learned about our medical partner, Children's Surgical Centre, he traveled for five hours seeking treatment. On October 16, doctors will perform an extra-capsular cataract extraction surgery and an intraocular lens implant in each eye. After recovery, he will be able to see clearly. Now, he needs help to fund this $398 procedure. His wife says, "I hope my husband's surgery goes well so he doesn't become blind and can see easily again." 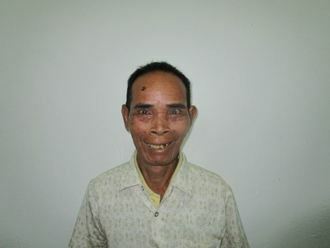 Nai is a rice farmer from Cambodia. She has two sons and nine grandchildren. She likes to listen to monks pray on the radio. Three years ago, Nai developed a cataract in each eye, causing her blurry vision, irritation, itchiness, photophobia, and clouded lenses. She has difficulty seeing things clearly, recognizing faces, and going anywhere outside. When Nai learned about our medical partner, Children's Surgical Centre, she traveled for one and a half hours seeking treatment. On October 17, doctors will perform a small incision cataract surgery and an intraocular lens implant in each eye. 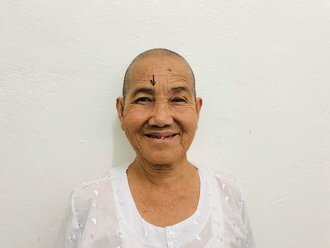 After recovery, she will be able to see clearly. Now, she needs help to fund this $398 procedure. She says, "I hope to return to work at the farm and to spend more time with my family." Samuel is a baby from Kenya. He lives with his single mother, who washes people’s clothes and farms to earn a living. Samuel has been diagnosed with hydrocephalus, a condition in which excess cerebrospinal fluid accumulates in the brain and increases intracranial pressure. Without treatment, Samuel will experience severe physical and developmental delays. Our medical partner, African Mission Healthcare Foundation, is requesting $685 to cover the cost of surgery for Samuel that will treat his hydrocephalus. The procedure is scheduled to take place on December 7 and will drain the excess fluid from Samuel's brain. This will reduce intracranial pressure and greatly improve his quality of life. With proper treatment, Samuel will hopefully develop into a strong, healthy young boy. Samuel’s mother tearfully says, “My prayer is to see my child recuperate, be able to breath, and lead a normal life." Esther is a baby from Haiti. She lives with her mother and father in Port-au-Prince. She is their first child. Esther has a cardiac condition called Tetralogy of Fallot. This condition involves several related defects, including a hole between the two lower chambers of the heart and a muscular blockage of one of the valves. 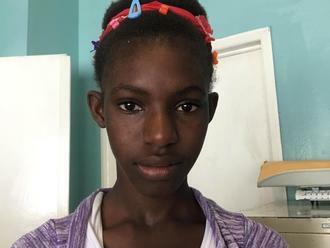 Esther will fly to Dominican Republic to receive treatment. On October 6, she will undergo cardiac surgery, during which surgeons will close the hole with a patch and remove the muscular blockage. Another organization, Haiti Cardiac Alliance, is contributing $5,000 to pay for surgery. Esther's family also needs help to fund the costs of surgery prep. The $1,500 bill covers labs, medicines, and checkup and followup appointments. 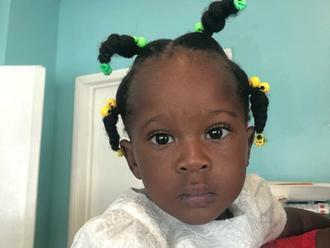 It also supports passport obtainment and the social workers from our medical partner, Haiti Cardiac Alliance, who will accompany Esther's family overseas. Her mother says, "We are very glad for this surgery so that our daughter can gain weight and have more energy."